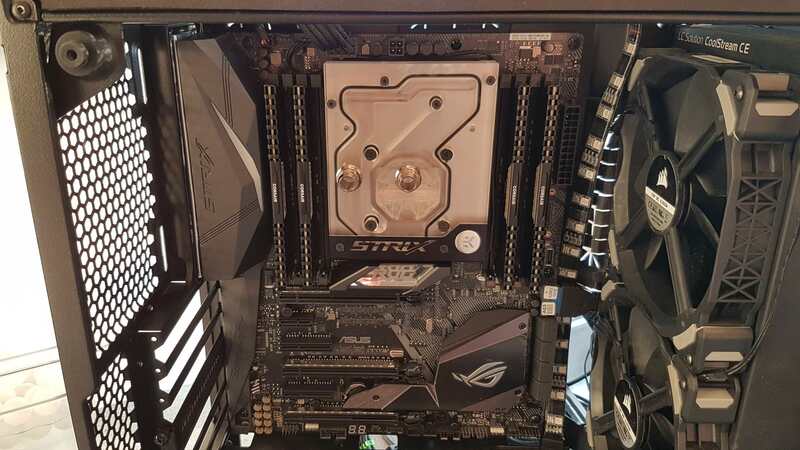 Well my old buildlog "mITX Watercooled (280mm+240mm rad)" is not suiting anymore, as i won the battle (i managed to build the dream PC, and it looked awesome), but i lost the war (Not fulfilling the goal of a silent mITX machine). 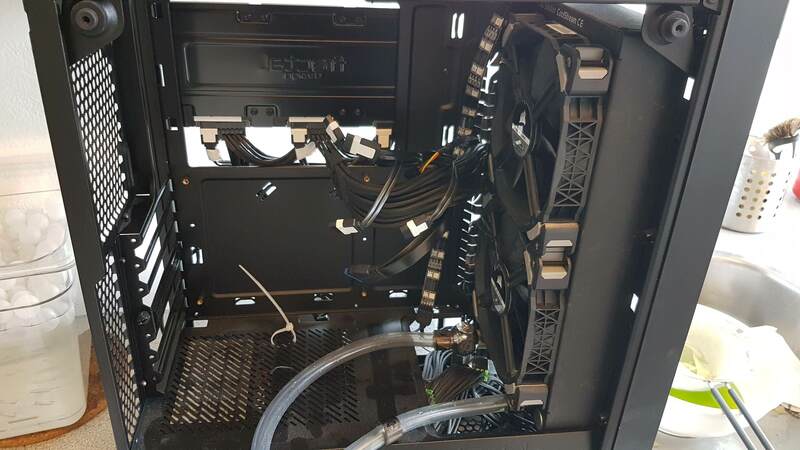 I eventually put shifted to a small ATX case, Fractal Meshify C, but having a windowed ATX case with a mITX board have irritated me since it was finished. So what to do? Looked at 2700x vs 8700k, but was constantly looking at used PC's on a danish forum. 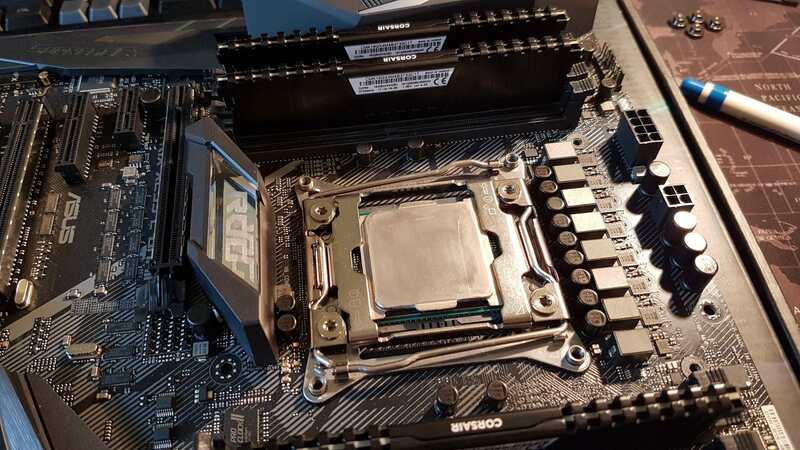 And found a i9 7900x, ASRock X299E-ITX and 32GB 2400MHz i swapped with my ITX parts. Then picked up a 400mm Phobya rad with 180mm fans to mount external under the desk. 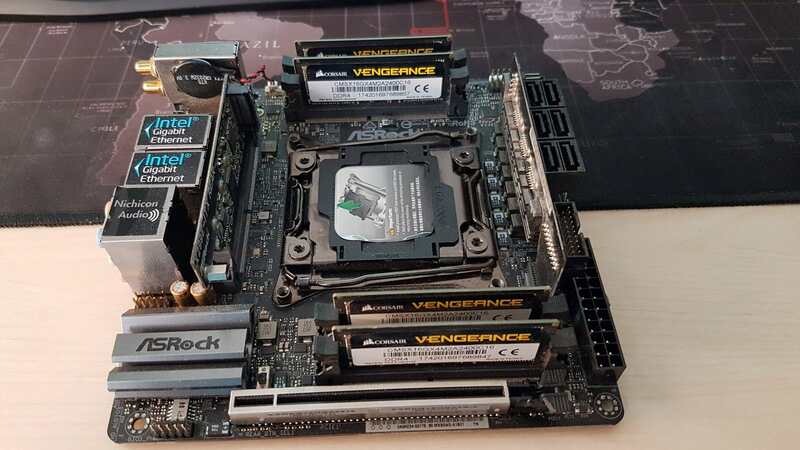 2 EK quick disconnects, and a monoblock for the board. 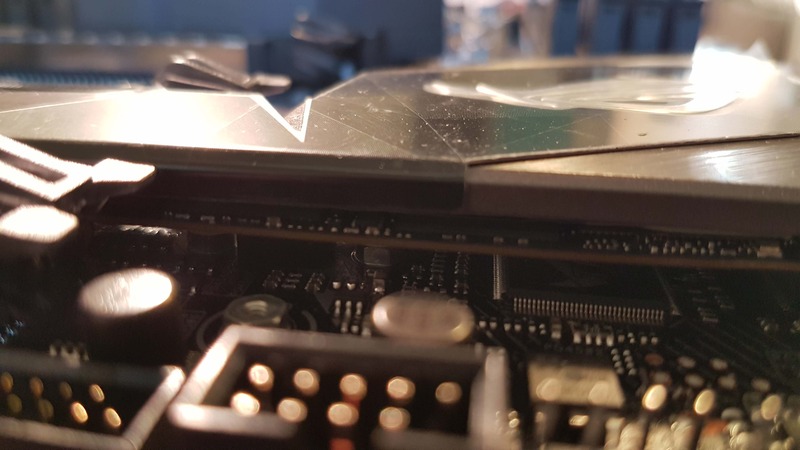 Corsair ML 120 and 140 on the EK rads. A blend of EK and Bitspower fittings. Cablemod RGB/UV led strip x2 with one controller. 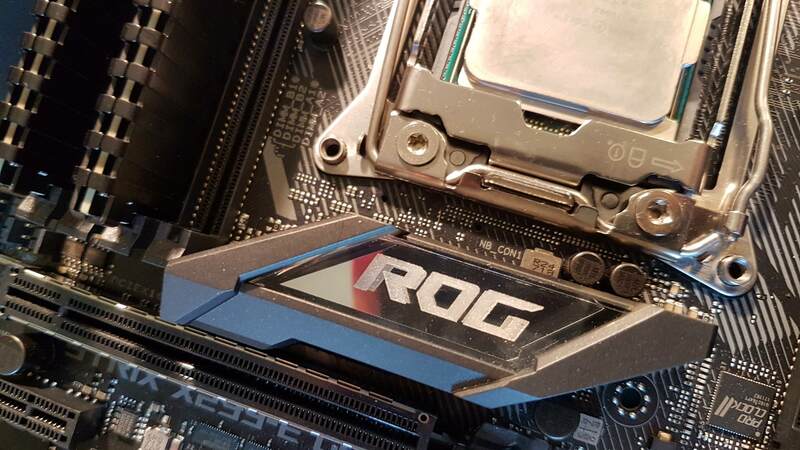 I'm curious how much of a difference liquid metal will make on a GPU block vs a more traditional paste. Under 50 is great ! I delidded my 8700K recently and applied LM, Such a massive temp difference, 20'c drop in most cases. Before i start a bigger update post, first some temps. The external 400mm radiator is AWESOME. 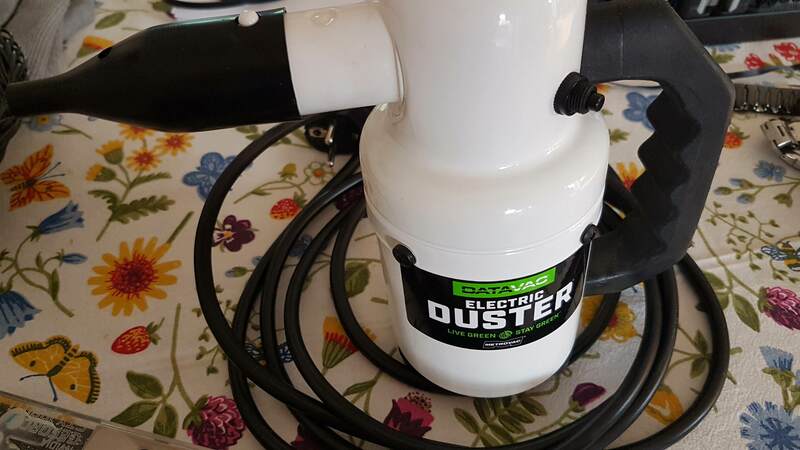 Pump at static 2000rpm at all times. Fans in the case at 0 rpm, the external rad at 430rpm totally silent and the rad is on the desk about a meter from me. The GPU are OC'ed, but the cpu is still stock. 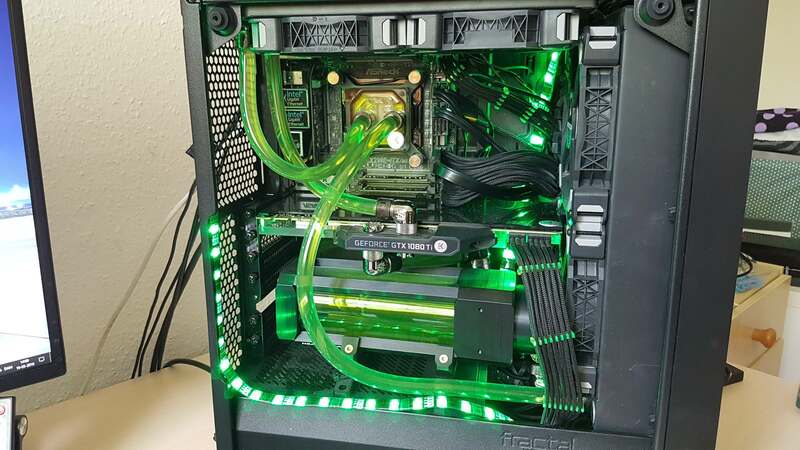 Custom loop with stock paste will net you around 54 at load given a dedicated 240 rad. LM will drop it a few degrees to around 50-52 if you are lucky. 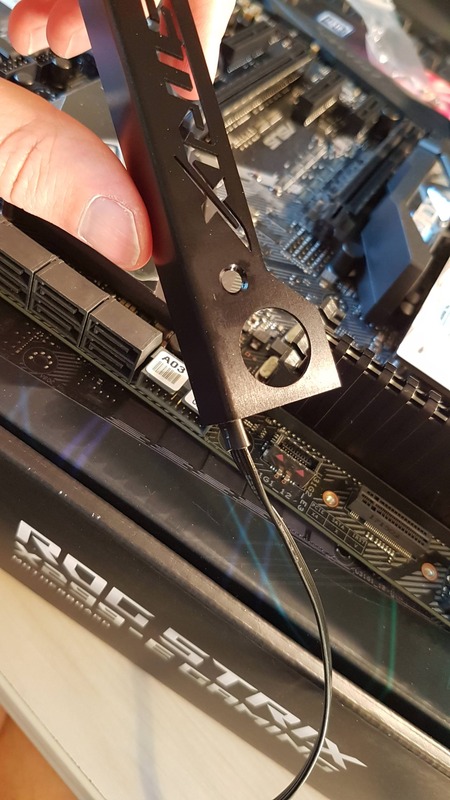 I tested my 980Ti reference cooler and it made 0 difference. Simply because the card had its temp target and kept going till it achieved it. I'm the same as Korreborg though. 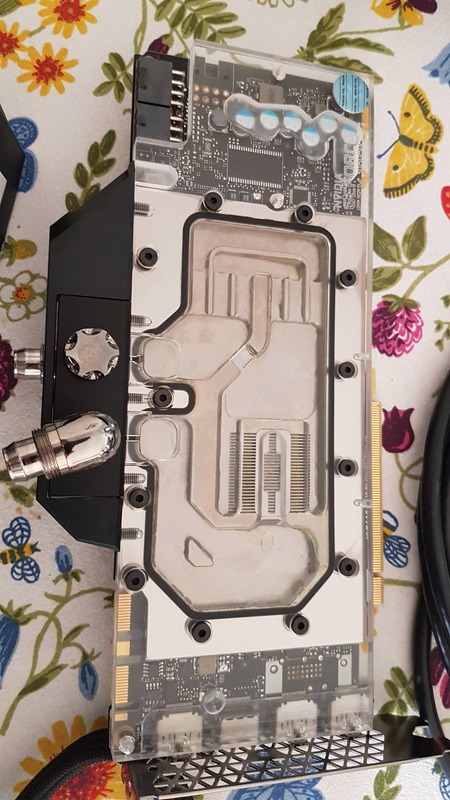 I always use LM anyway since I watercool so, removing the block, I might as well replace the TIM too. First a couple of pictures of the disassembly/cleaning. 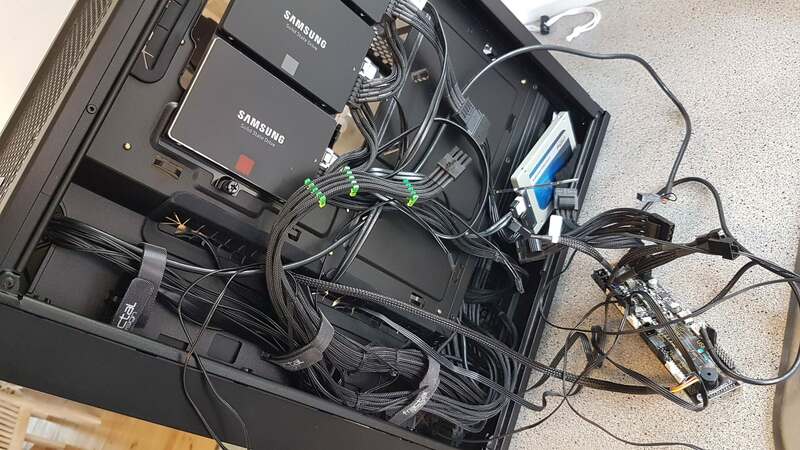 Couldn't stand the cable mess. The LED strip in the monoblock had to be relocated to insure i don't have to disassemble the hole thing to install more RAM.